Thank you for your interest in our technical equipment for Film / TV Production. 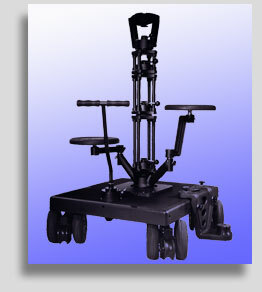 Our program provides everything you need  from the Lightweight Dolly all the way to complete Crane Systems. Why dont you just browse through our web pages.